Recently my daughter did a presentation on Brazil for her social studies class. As part of the project, she made Chocolate Brigadeiros to share with her classmates. 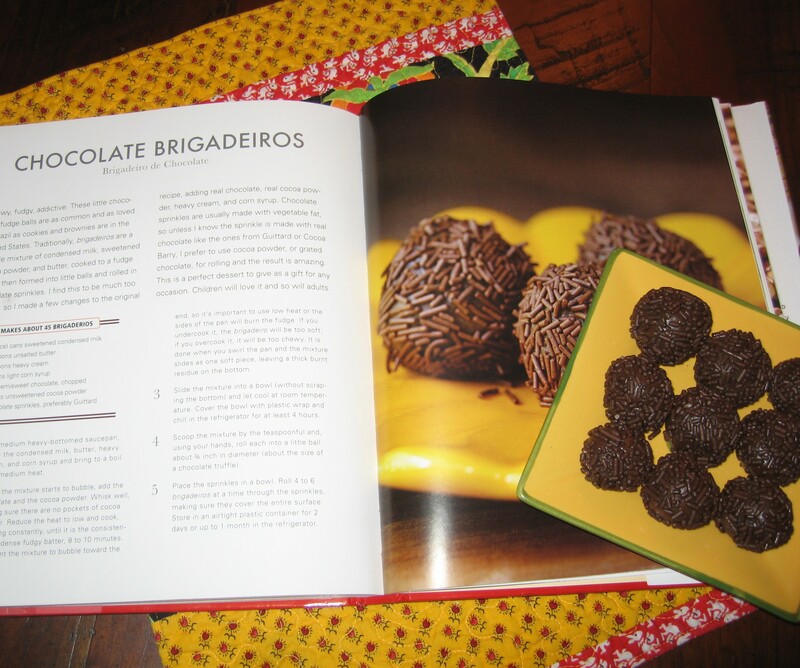 The recipe she settled on was from The Brazilian Kitchen: 100 Classic and Contemporary Recipes for the Home Cook by Leticia Moreinos Schwartz; the directions were clear and the end result was positively divine. I must say, too, that this is one of the few recipes where the end result looked all most like the picture! So if you are still looking for a chocolate surprise to share on Valentine’s Day, you might want to give these addictive little treats a try. And, if you need a way to package the candies, take a look at these printable Valentine candy boxes at smilebox.com or spoonful.com. This entry was posted on February 12, 2014 at 9:01 pm and is filed under Cooking & Baking. You can follow any responses to this entry through the RSS 2.0 feed. You can leave a response, or trackback from your own site.